I don't think that this place deserves all the bad reviews. Our room was very big, nice and bright with the windows and had a view of signal hill. Nice hot showers. Well stocked kitchen. 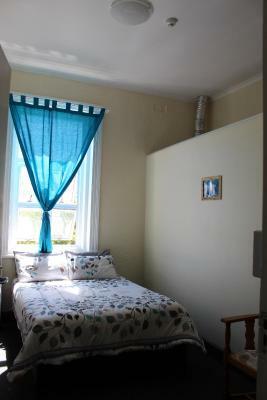 Great restaurants nearby and a close too the waterfront. It was located at Seapoint and convenient to get around. Hosts were welcoming and breakfast was delicious. Rate of nights stay was lower than the expected price, which was a bonus and room was safe and quiet regardless of Pub in facilities. Just street parking not so good. We where the only people booked in the place for 6 days. All other backpackers where nearly fully booked. Although the place looked dogdy from the outside,it was actually safe. Die Lage war gut. Im „I Love NY Slice Pizza“ konnte man gut essen und hatte von dort auch in unserem Zimmer das benötigte WiFi, einfach nach dem Passwort fragen. Check in und out ohne große Probleme. Küche und Bad gut ausgestattet und sauber. 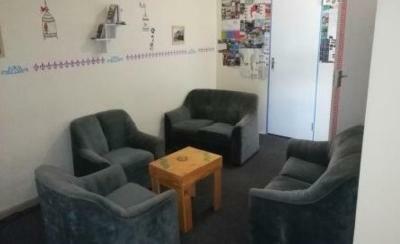 Set in Cape Town, a few steps from Seapoint Methodist Church, The Courtyard features a shared lounge. 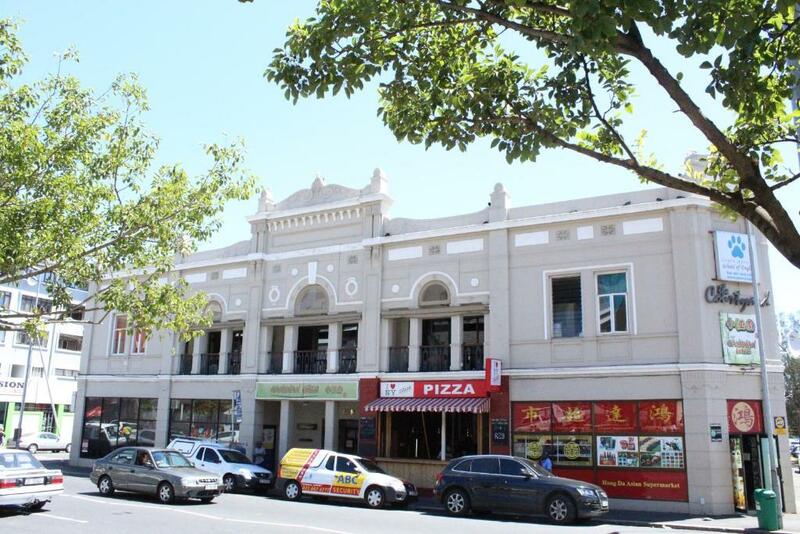 Popular points of interest nearby include St James The Great Anglican Church and Lal Language Center. 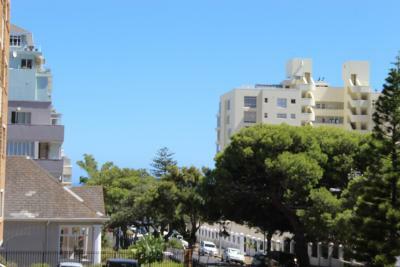 The property is located in the Sea Point district and Bus Stop (Red Bus) is 1,000 feet away. All guest rooms in the hostel are equipped with a kettle. 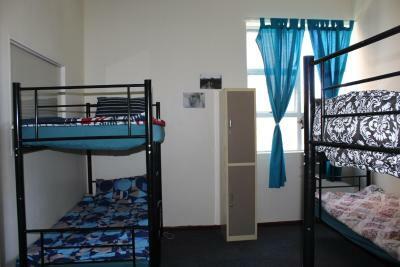 Rooms are complete with a shared bathroom fitted with a shower, while certain rooms are equipped with a seating area. The units will provide guests with a microwave. 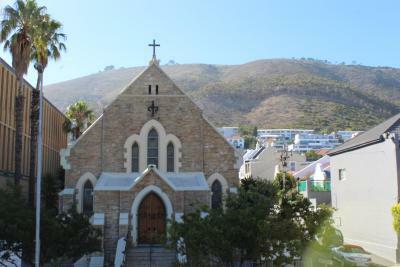 Rocklands Road Park (Sea Point) is a 3-minute walk from The Courtyard, while New Apostolic Church is 1,300 feet from the property. 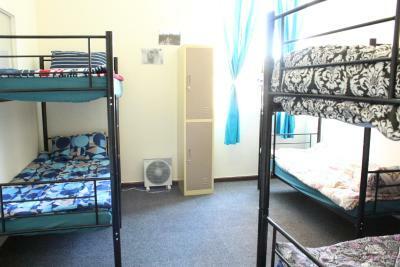 The nearest airport is Cape Town International Airport, 12 mi from the property. 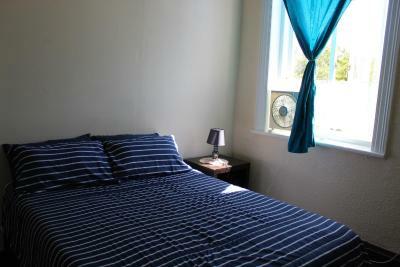 When would you like to stay at The Courtyard Backpackers? House Rules The Courtyard Backpackers takes special requests – add in the next step! Debit card The Courtyard Backpackers accepts these cards and reserves the right to temporarily hold an amount prior to arrival. The Courtyard Backpackers accepts these cards and reserves the right to temporarily hold an amount prior to arrival. Please inform The Courtyard Backpackers of your expected arrival time in advance. You can use the Special Requests box when booking, or contact the property directly using the contact details in your confirmation. Room was divided by swing doors that wasn't that secured from adjoining room. Room faced street so was quite noisy at night. For the price I feel like they could provide towels for guests. Kitchen is very small so only one guest/group can prepare at a time. Some people may be bothered by street noise but I didnt find it too bad with windows closed and fan on. Wi-fi did not really work in the room. 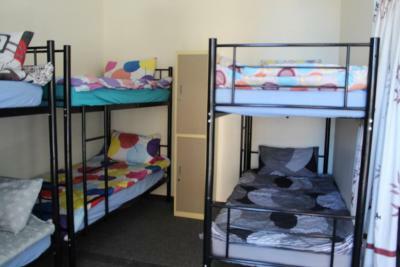 Avoid this establishment as far as you can, & at R550 per night(private room) , you could get a better, safer room with a en-suite shower /toilet. Me & my companion had a very scary experience. The room we were in had an old French door, that leads to adjacent room, boarded up. The couple in the next room, were both under the influence of something, at 02h36 on Sunday morning we were woken up by screaming & yelling, obviously you could here the make abusing the female, throwing her around in the room, the next moment the fresh door crashed open, & a drunk stranger was standing next to our bed. I told him to leave, I pushed the broken fresh doors closed as soon as he left(there was no way to lock or secure the doors) , the fighting continued, the next moment, the man came back into our room, demanding to be let out, as his girlfriend refused to open their bedroom door, I demand he leaves. We never felt so unsafe. Secondly it was hot, when I arrived, & wanted to take a shower, the small bathroom, with shower, toilet & washbasin, had no window, small extractor fan, very stuffy inside. The shower pan was packed full of heavy sandbags, not usable, no staff around, to ask if other shower is available, only when the manager arrive, asked her about shower, staff removed the bags, surely if you expect guests to check in at 12h00,youll make sure everything is ready?.There is a small cuminual kitchenette, with basic crockery, cutlery, fridge/freezer, microwave. If you open the drawers, small cockroaces running all over the show, & on work tops! 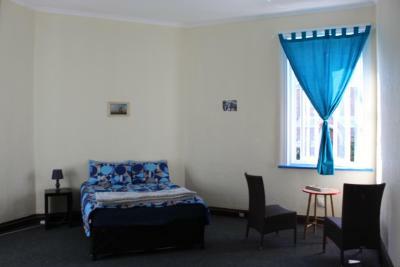 I would also not recommend the dorm rooms, they are like situated in the middle of the floor, got no outside windows, the small windows opens up into a dark, stuffy, passage. No fresh air or natural light in those dorms. Unfortunately, the girls dorm was in poor condition. We were not able to lock the door or close the window. As a result, some strange guy constantly entered the room without knocking or asking. 6 persons had to share 2 lockers. 13 people had to share one bathroom and a toilet. Other toilets were incredibly messy, demolished and even for a cheap hostel unreasonable. 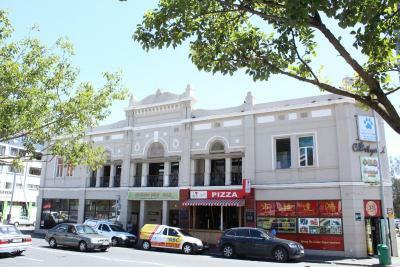 The entrance into the building is shared with the Chinese restaurant, the bar and backpackers. The bar is using a toilet on the way to the backpacker's entry of which the stairway can become quite messy. 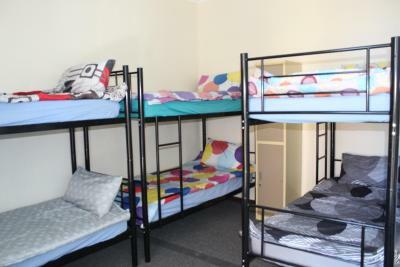 The hostel was not clean at all, toilet paper was a missing good most of the times. 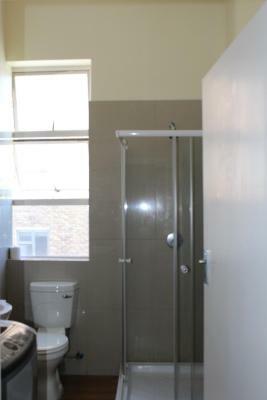 More than 10 people shared one bathroom (shower and toilet). Windows in the room were broken and therefore it was not possible to close them. The door could not be locked or closed, so it was windy and loud. It did not smell nice either. The personnel is okay, but gets stressed quickly and takes hints/criticism very personal. All in all it was okay to sleep there, but we were lucky to leave and would not recommend the hostel at all! They didnt have any towels or soap available for taking a shower. The lamp didn't have a plug. The plug in the room was faulty so we had to charge our phones in the public kitchen. The TV was new and hadn't been connected yet. No bath towels, hated the shared bathroom. The poor quality of the linen used. Parking, if the Hotel could organise for more Parking space or alternative in another place as we had to park outside and it was unsettling for us because we were using a Rental and there was a Pub right there. What's on website not a true reflection with what is on property.